If you’re not sure about the current condition of your roof or how long it’s been since you had a roof inspection, chances are good your roof is way past due. Procrastinating roof inspections is a bad idea for multiple reasons. For one thing, the sooner a professional roofer can catch developing problems on your roof, the easier and less expensive it will be to fix them. For another, most roof warranties mandate regular inspections and maintenance performed by a qualified professional—and failure to have that work performed can lead to the invalidation of your warranty. For yet another, a good roofing company makes thorough documentation a routine part of the inspection and maintenance process—and that documentation is crucial when you have to go toe-to-toe with an insurance company over a roofing claim. As you can see, roof inspections are important for many reasons. To schedule an inspection for your roof or to set up a regular inspection and maintenance plan, give the experts at Capital Coating a call today at (717) 442-0979! 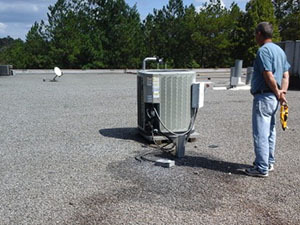 Generally speaking, a commercial roof should be inspected at least twice a year—once before the worst weather season sets in for your area and once again after the conclusion of that season. This allows a roofing professional to identify any issues and strengthen your roof before harsh weather begins and to also make sure no damage was sustained during that weather after the season concludes. Additionally, your roof should be inspected after any kind of severe weather event or natural disaster that could inflict damage, such as a tornado or an earthquake. As previously mentioned, documentation is an important part of the inspection process. Let’s say you have your roof inspected prior to the advent of winter. During the ensuing winter months, a severe storm blows in accompanied by high winds and heavy snows, and your roof is damaged as a result. When you attempt to make an insurance claim to have the damage repaired, it’s a common practice for an insurance company to try and claim the roof damage was preexisting—not the result of the storm. However, because you had your roof inspected before winter hit and your roofer documented the condition of your roof, you can prove the damage wasn’t there prior to the winter season, and the insurance company will have to pay up. The Experts Are Here for You! For professional commercial roof inspections, maintenance and more, the Capital Coating team is here to help you. Give us a call today, (717) 442-0979, to schedule your next inspection. 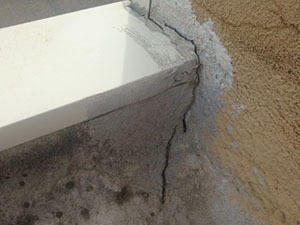 One of our expert team members will visit your location and thoroughly inspect your roof and document its condition. If any problems are discovered, we will offer you our very best recommendations regarding solutions to fix them. You can count on Capital Coating!